I've stepped through the hatch, and now I'm floating. However, I'm floating in a way that can only be described as peculiar. I have to ask, what was in that Tang? I mean, the stars are looking like I've never seen them before. But who really cares, right? No one cares about my aspirations when I was a child. All you care about is the fact that today is Tell The Truth Tuesday! And it's time to reveal the truth about yesterdays post. I lied. After the post went live today, I reread it and said to myself, "Self...that was a bad place to separate the fact from what I did or didn't make up." I thought it would have been too obvious that it was false. The truth is, while Sutter lost his claims to the land, while it was under his control, he was paying taxes. As a result, the US government granted Sutter a pension of $250 a month. Which, as it turns out, wasn't a trivial sum. When he was granted his pension, it would be the equivalent to $4,800 in todays dollars. He also didn't petition congress for $5 million in restitution. He only asked for $50,000. And that was to reimburse him for improvement to the land he paid for that were destroyed by the gold miners. So, the fact is, I lied. Sutter wasn't a truly wealthy man, but he wasn't destitute either. Now, let's move on to todays oddity. Anyone want an oddity today? And who wants it to be about space? And who wants it to involve kittens and puppies? Well, except for the kittens and puppies, you're about to get your wish. But for a long time, it looked like Russia would win. And they did whatever they could do to let us know we were losing. Russian cosmonauts used to say that one of the reasons for this was the fact that America had her priorities messed up when it came to space flight. 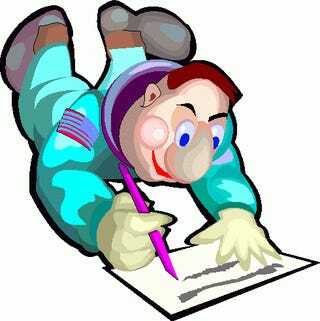 NASA was spending millions trying to develop a pen that worked in space while the 'backwards' Russians used a pencil. Too bad that's not true. Well...it is true Russia made fun of NASA for not using a pencil. Except, American astronauts did use pencils. NASA did look into creating a pen that could write in zero gravity, but development costs soon exceeded what they thought they would, so they gave up on the project and decided the risk of using a pencil was minimal. That's right. I said risk. You see, a pencil can be used in zero gravity. You can write upside down with one. The only problem is, you need to sharpen them frequently. And that caused problems. Sharpen a pencil. * Go ahead, I'll wait. You see all those shavings? What do you think happens to them in space? They get lose and float around. Also, as you write, it creates graphite dust. Plus, make a mistake? Ever erased something? What happens to all that debris you brush away when you're in space? The wood dust, graphite dust and eraser fragments create a real fire hazard in space due to the fact they can float around and land on an electrical circuit. Apollo 1 showed us what happens in an oxygen rich environment when a fire starts. That's why NASA wanted to develop a pen that would work in space. Paul Fisher, who just so happened to own the Fisher Pen Company, took it upon himself to develop a pen for space. Neither NASA or the government asked him to, and he used his own personal funds to develop the pen. He ended up with an ink cartridge that had a special tungsten roller ball that was custom fit to prevent leaks. The ink was forced out by nitrogen gas at 35psi. The ink it's self was a special ink. It could write on wet and greasy surfaces with no problems. It was also thinker than normal ink. This allowed for the same amount of ink to last three times as long as a regular pen. The ink will write in extreme temperatures, from -35 to 250 degrees Fahrenheit. After he was happy with his product, he took a few to NASA and asked if they would like to try them. NASA eventually bought 400 of the pens. At $6 each. And those smug Russians? Once they saw the American astronauts using them, they purchased 100 of them in 1969 to use. At $6 each. You can still buy a Fisher Space Pen today. They're less than $20 at Amazon. * Yes yes yes....I'm fully aware they used mechanical pencils in space. But, while you didn't have shavings from sharpening, you did have broken tips of lead. It's just more of a visual thing to have someone sharpen, or imagine sharpening, a pencil. I used a wooden pencil for dramatic visual effect. I'm an artiste! I can do that!